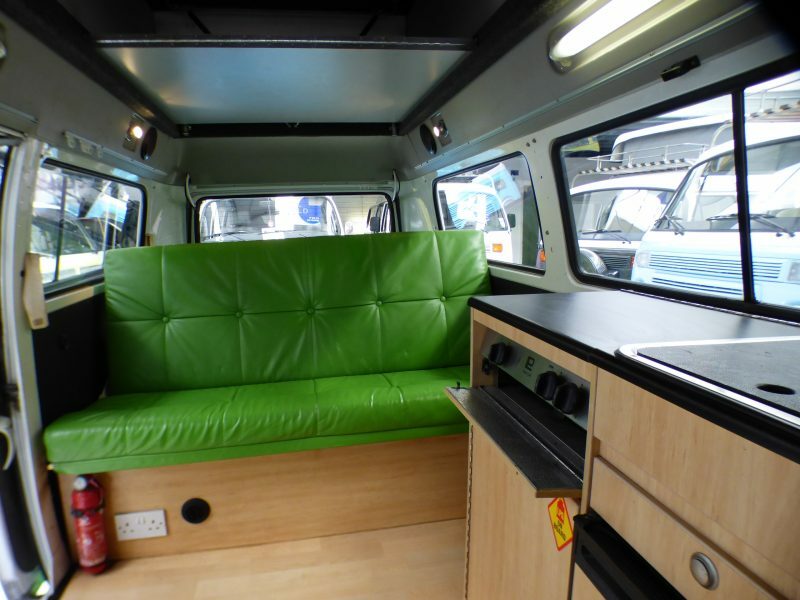 2007 Danbury Diamond, SE, 4 Berth, just have a full re-ferb, £25995! 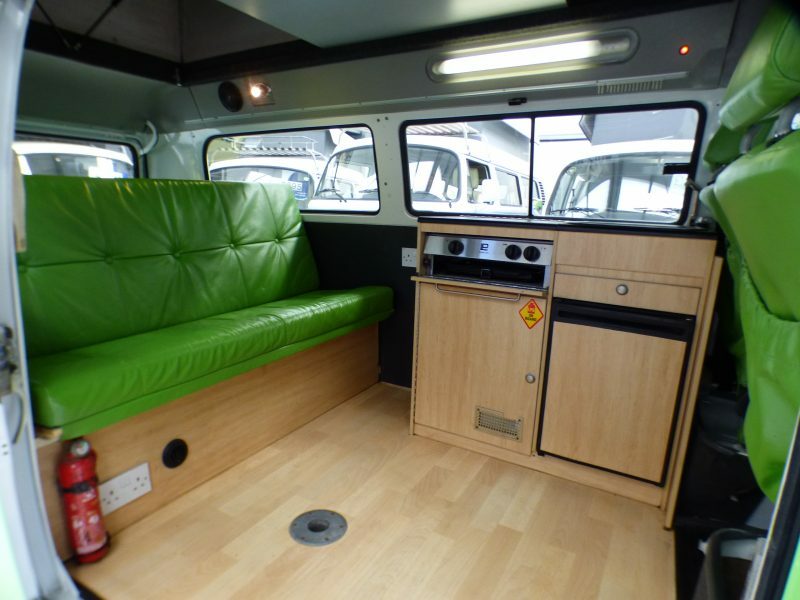 Home » Product » 2007 Danbury Diamond, SE, 4 Berth, just have a full re-ferb, £25995! 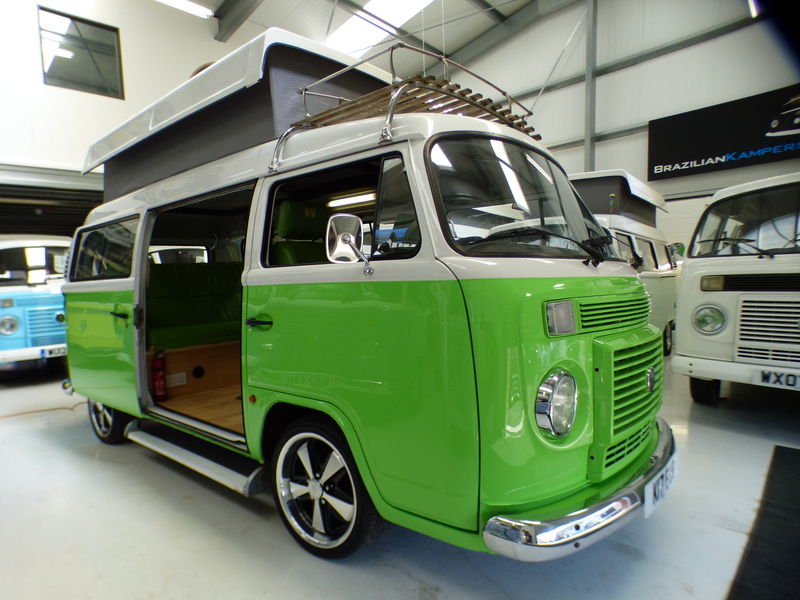 We have just taken this 1 owner from new VW Danbury Diamond into stock that has undergone a full makeover to include a top to bottom re-spray, new chrome parts all round, new 17″ Porsche style wheels and tires, new gearbox with a 12-month warranty. 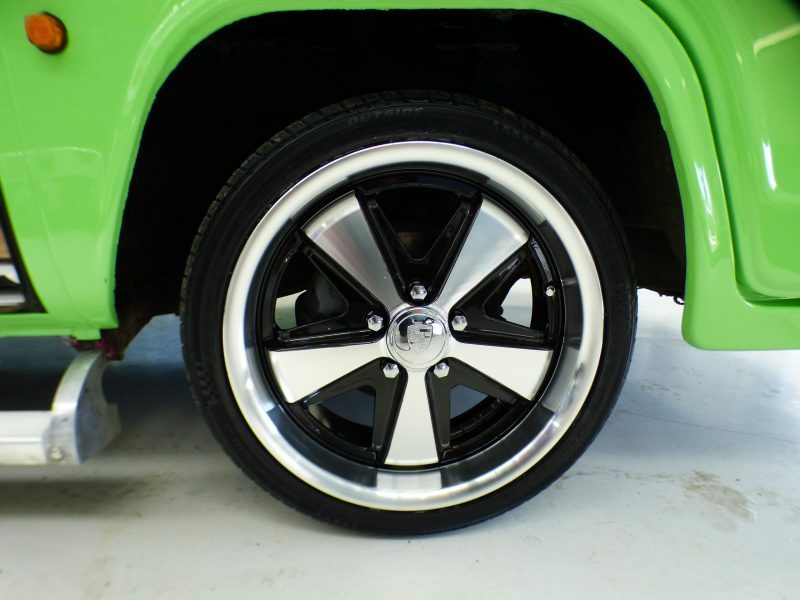 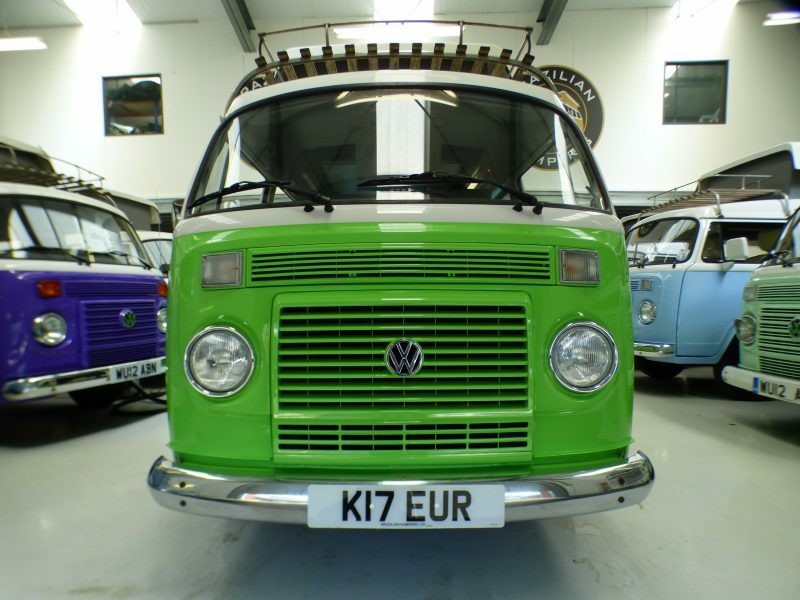 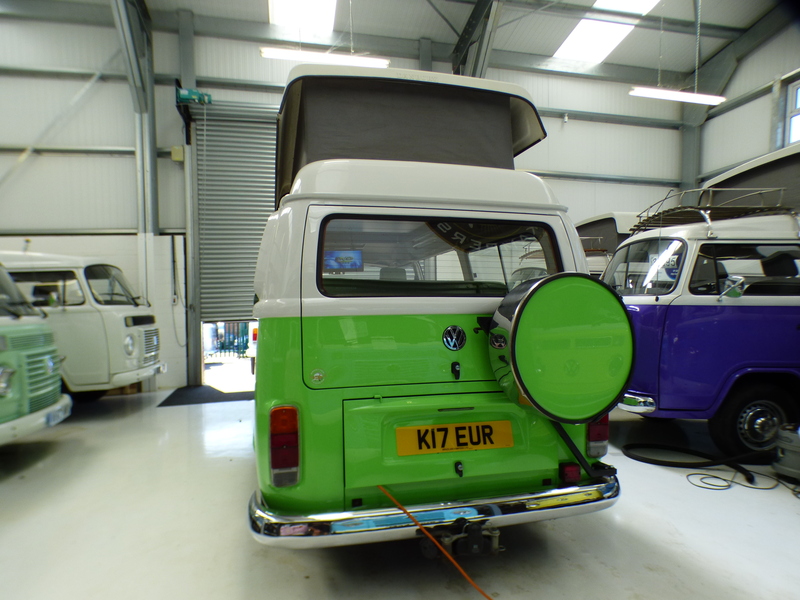 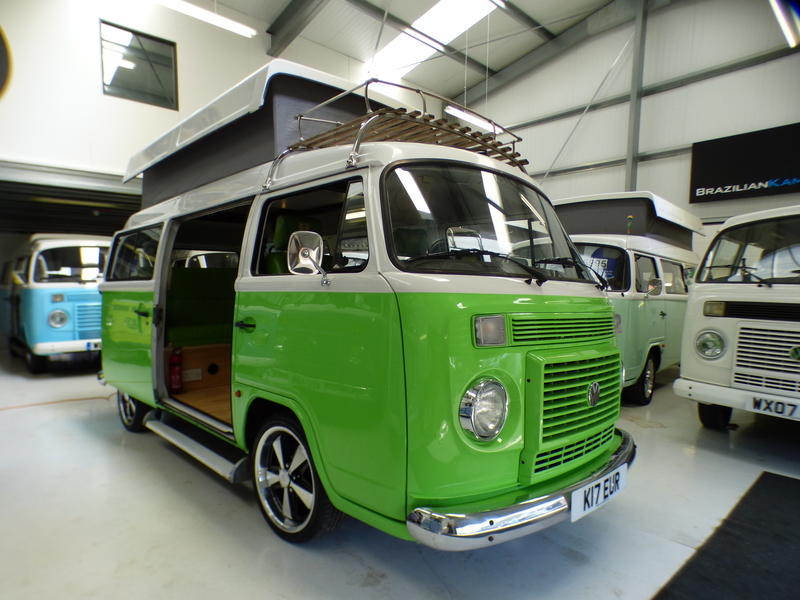 Exterior: Bright green / White paint work in condition,tion , lowered suspension and alloy wheels, chrome mirrors, clear indicators, pop top roof with upper bed board and matters, sunroof. 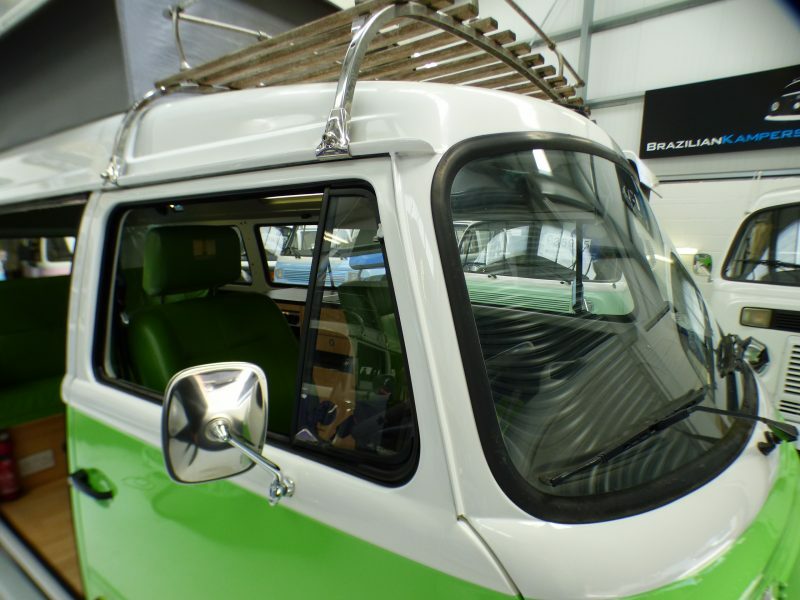 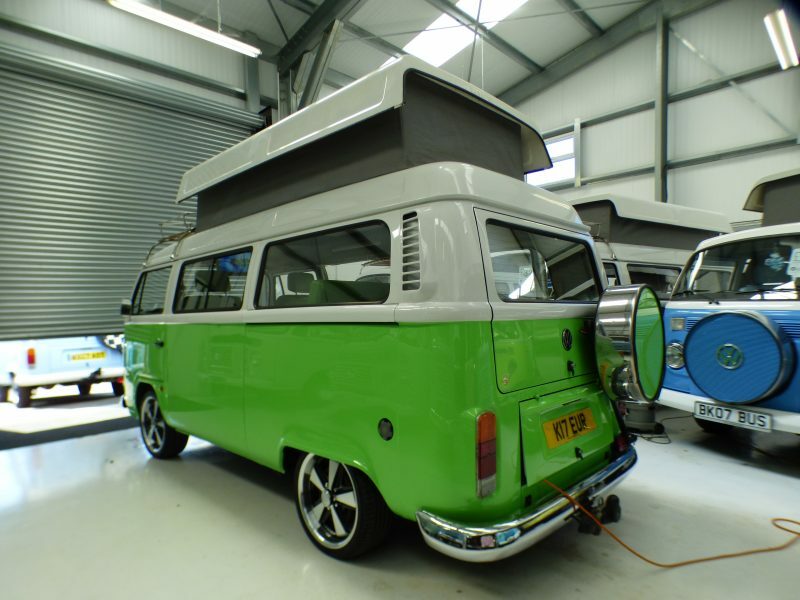 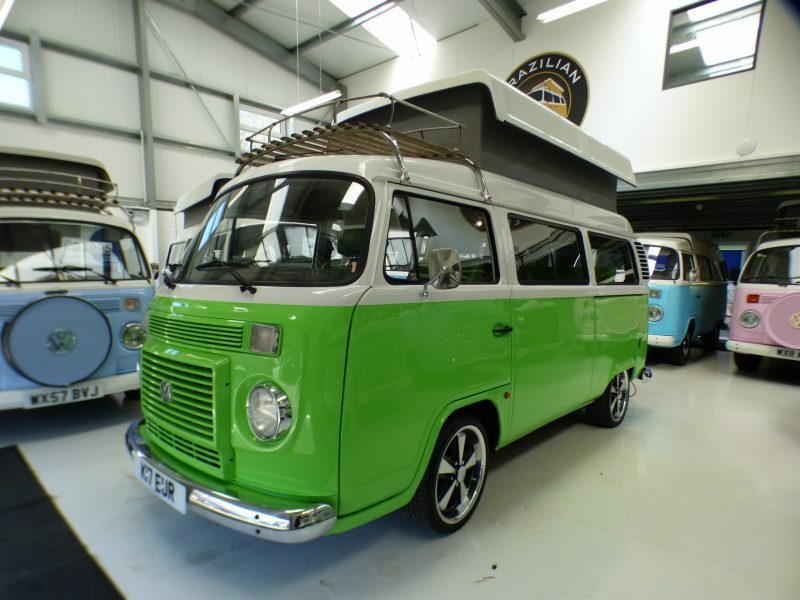 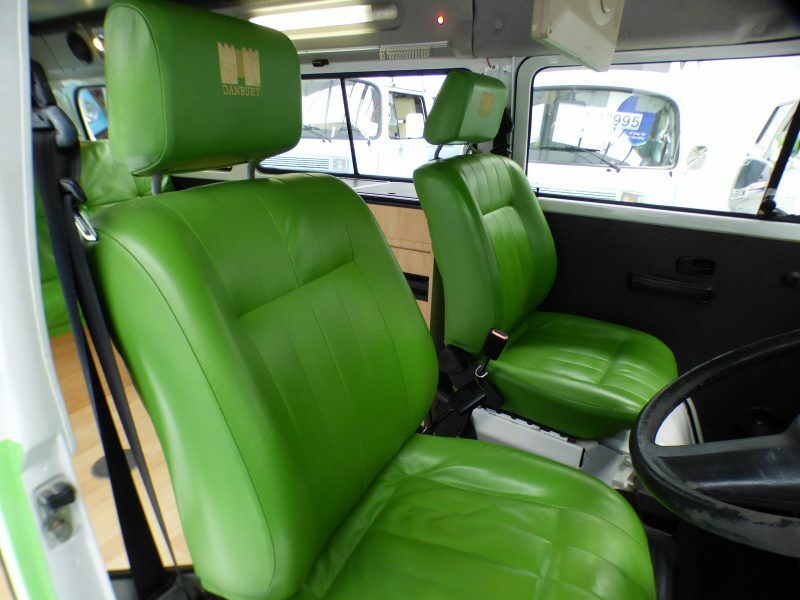 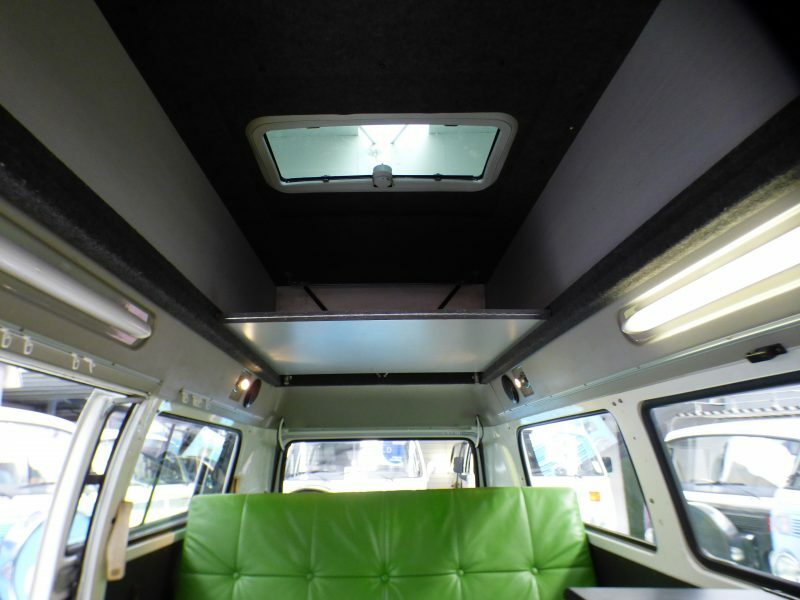 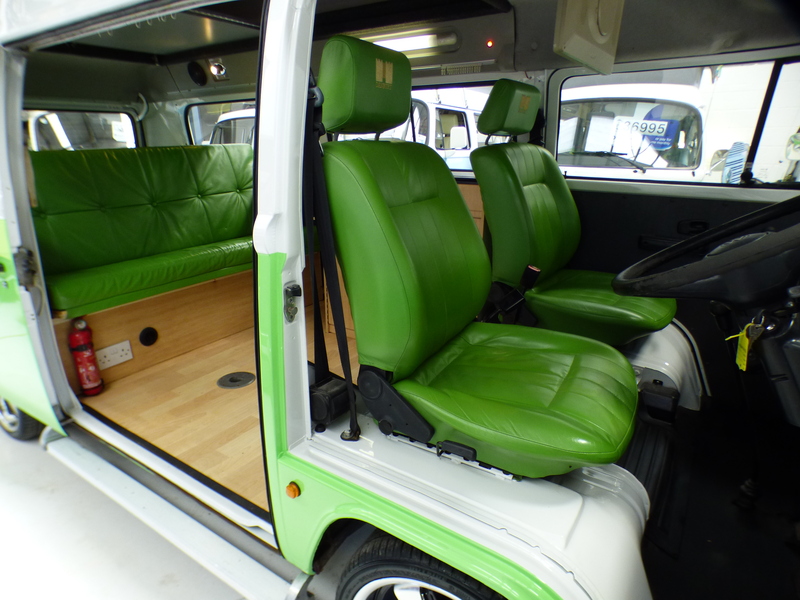 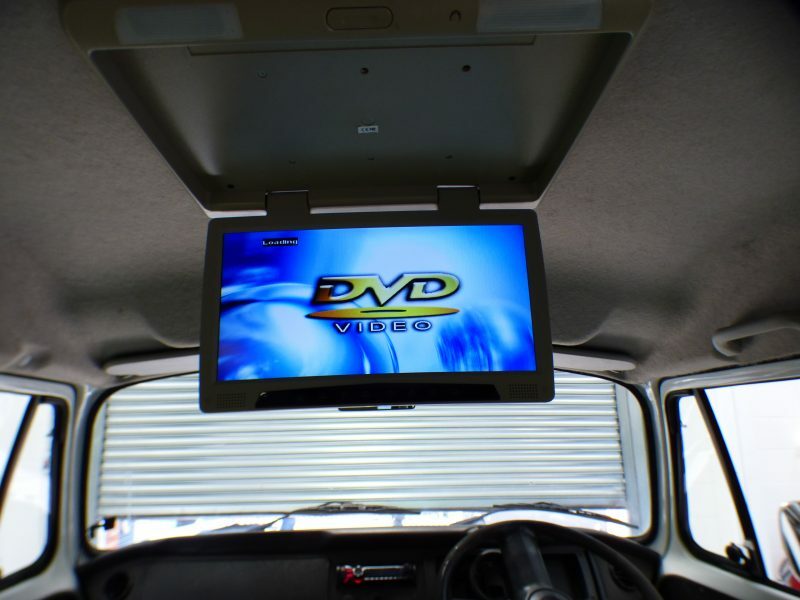 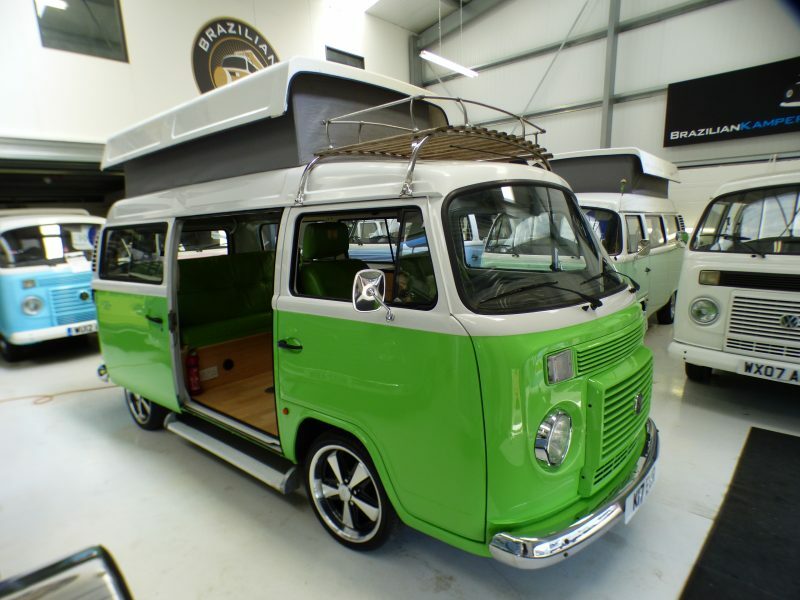 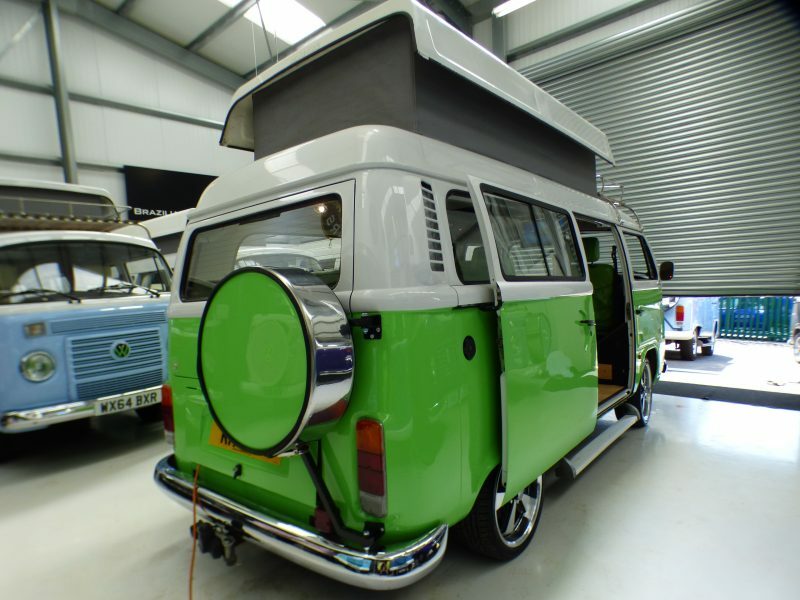 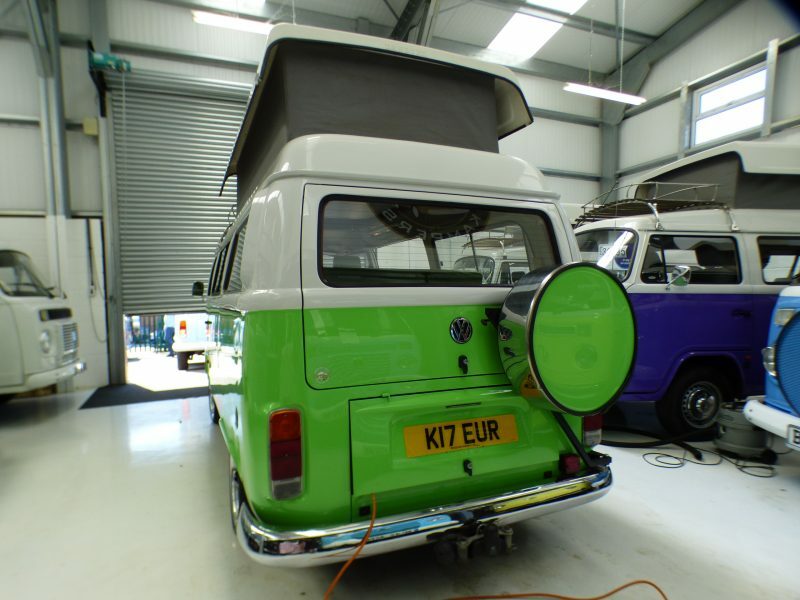 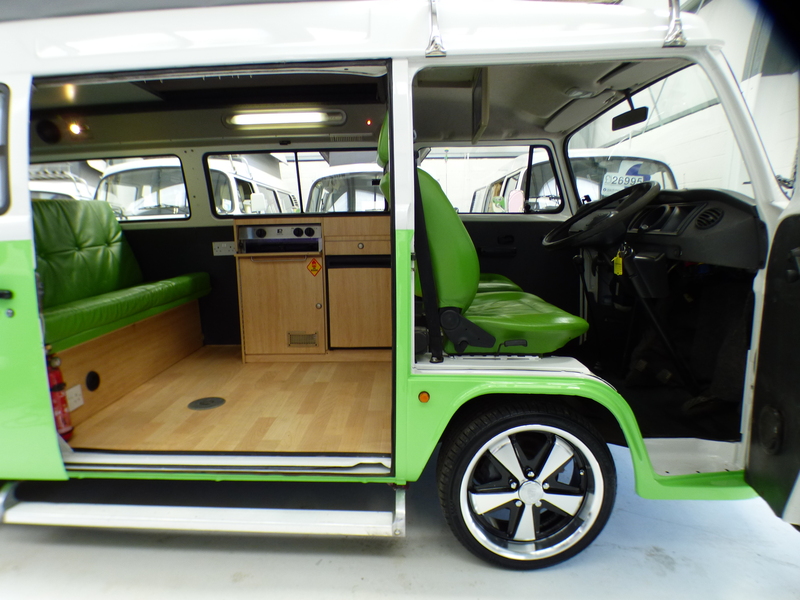 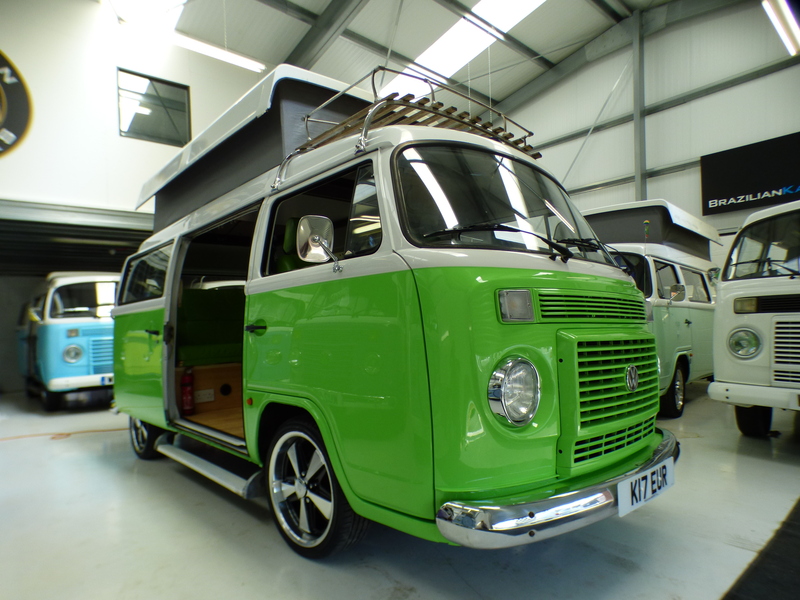 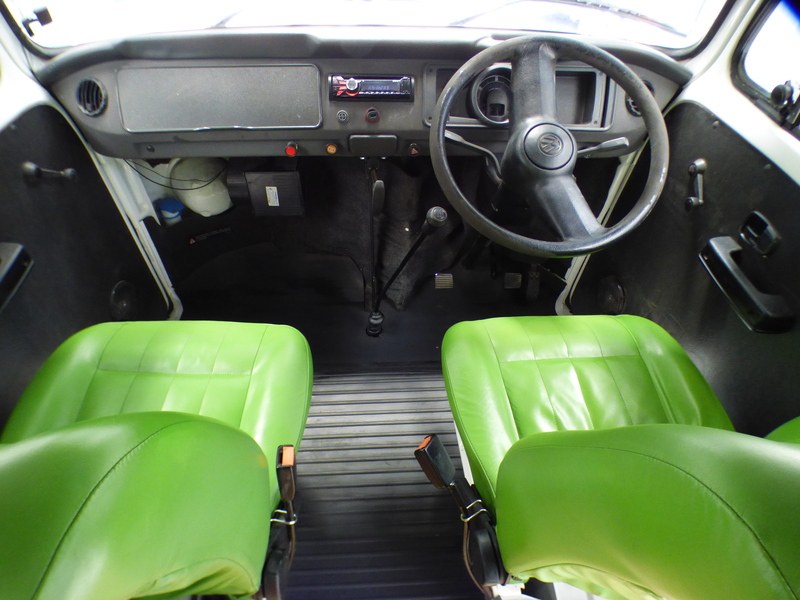 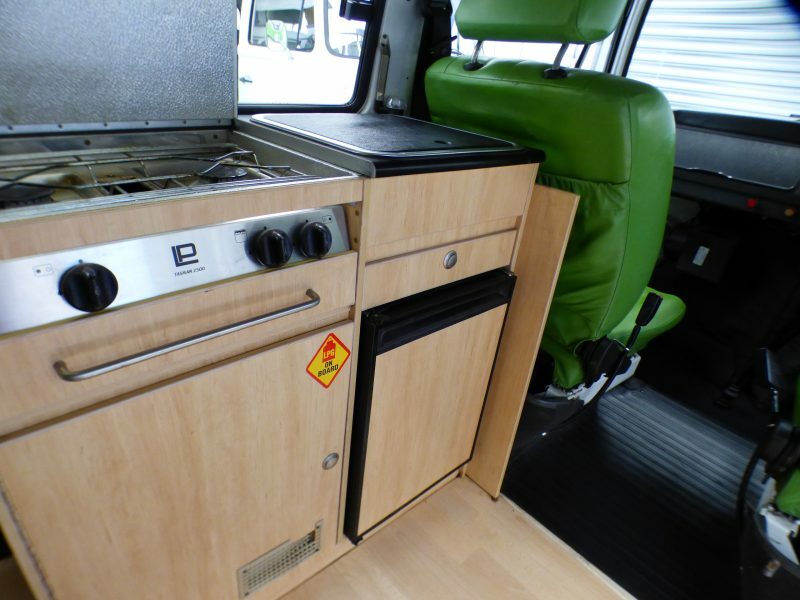 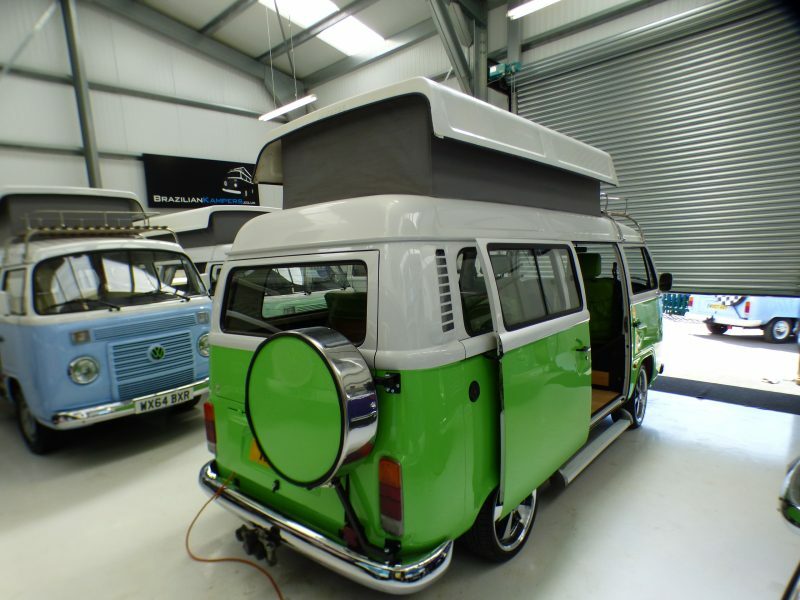 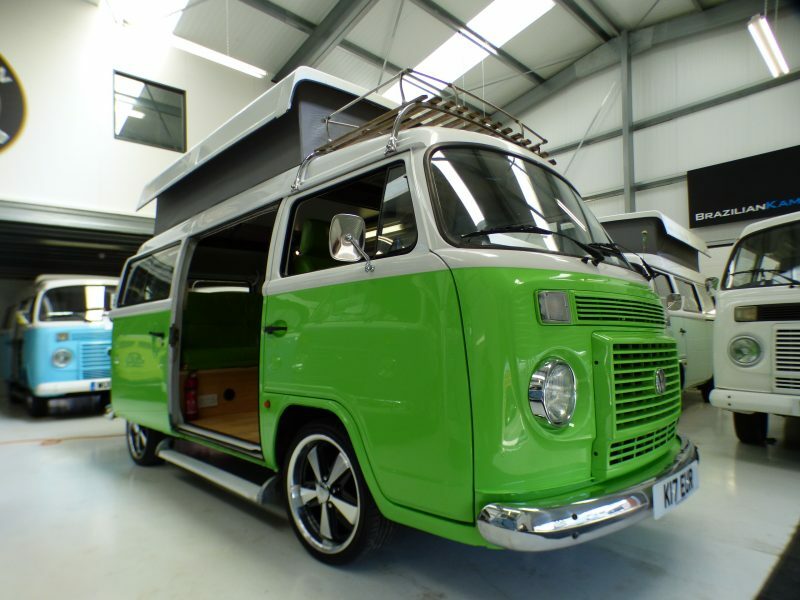 Interior: Matching green leather upholstery, rear night heater, full size bed with seat belts, cooking with grill and hob, sink with pumped water, compressor fridge, heated front and rear windscreen, front heating system, cd/ radio with aux input and 4 speakers and drop down DVD player. 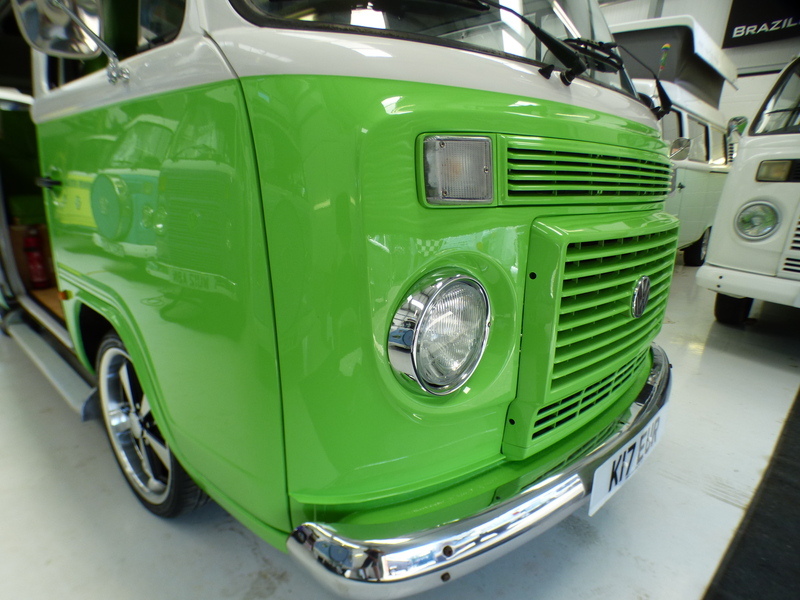 Mechanics, 1400cc water cooler modern engine provides reliability and everyday speeds and with 134k miles with a brand new gearbox and mechanical overhaul, underside wax oil protects the underside, 2 sets of keys. 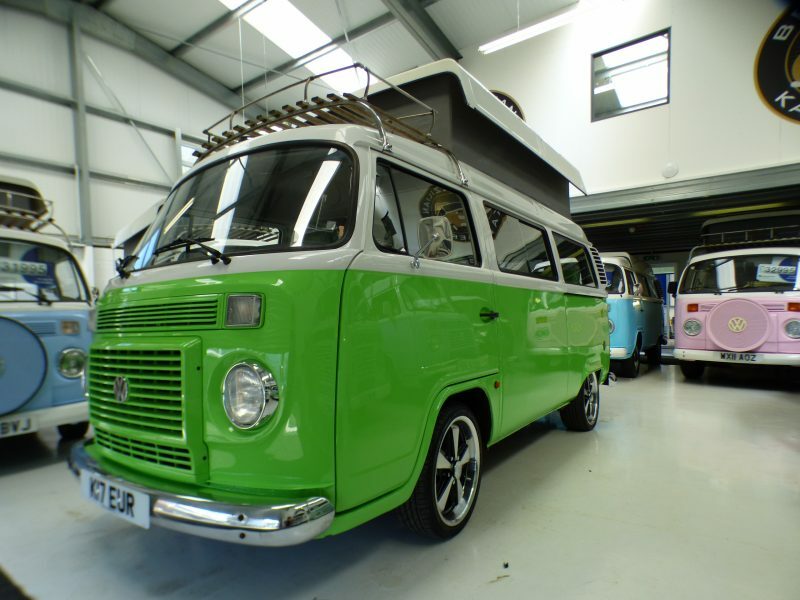 Sold with a 12 months MOT, full major service, full PDI inspection, 3 months parts and labour warranty and a professional valet.